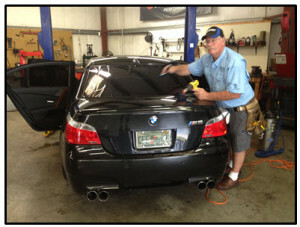 Quality Window Tinting & Blinds is a family owned and operated company based out of Sarasota, FL. Owners Stephen & Pam Black have over 38 years of experience specializing in commercial, residential, and automotive window tinting, as well as commercial and residential blinds. We offer product lines such as Madico Window Films, Vista Window Blinds, with a wide variety of services including commercial, residential, and automotive window tinting, blinds, automotive detailing, and window cleaning services. We believe that quality doesn’t cost, it pays because we offer products and services that save you time and lower energy bills. We strive to provide you with the highest quality window solutions that will provide comfort, safety, and a great appearance.